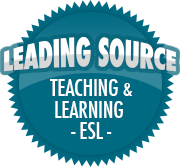 Effective teaching: 10 tips on what works and what doesn’t | So, You Think You Can Teach ESL? An article from today’s Guardian. With a big cheer from me for number 8.